Heidelberg – for most of the visitors this is the Castle with the Big Barrel, the Old Bridge crossing the Neckar river and the historical Old Town. Yet Heidelberg offers a lot more to it’s visitors. Our family run hotels invite you to discover and enjoy the traditional ambience of this romantic and at the same time modern city. You will feel completely well in a refined atmosphere. 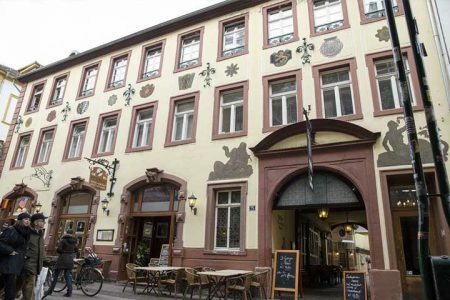 This hotel is located at the foot of the historic Heidelberg Castle. Every morning a breakfast buffet is served. The Hotel Perkeo is named after the famous court jester, the dwarf Perkeo, who lived in the 18th century at Heidelberg Castle. University town Heidelberg, icon of German romanticism and top tourist attraction: Heidelberg has many faces and attracts numerous visitors to the south-west of Germany. Today, however, the landmark of the German romantics attracts not only tourists from all over the world, but also numerous students. 26,000 study at the oldest German university. 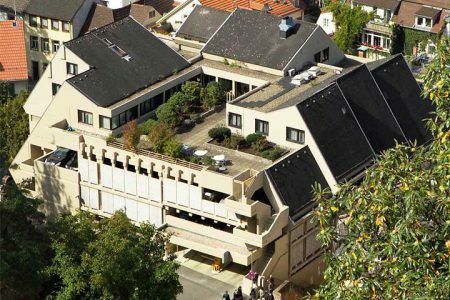 Our 4 adventure tips are places of interest such as the Heidelberg Castle on the slope of the Königsstuhl mountaun, The Old Bridge crossing the Neckar river, the Philosopher’s way leading from Heidelberg’s Neuenheim district to the Heiligenberg mountain, and the student detention room. Our family-run hotels invite you to discover and enjoy the traditional ambiance of this romantic yet modern city.